Tahong Island is a brainchild of the couple, Edward Gutierrez and Trish Aguilar. They sold baked mussels in their offices during holidays. 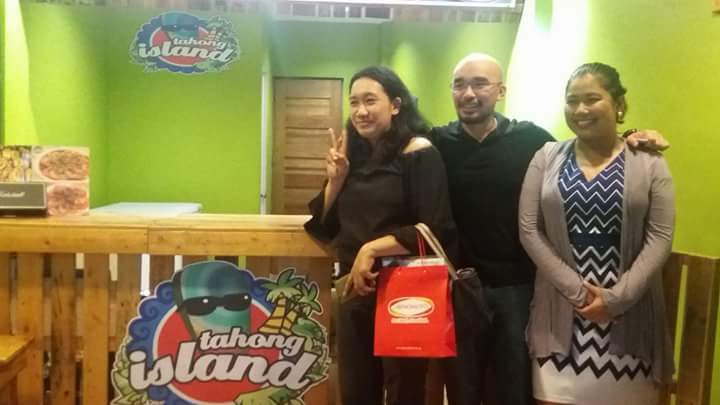 People loved their mouthwatering Cheesy Garlic Baked Mussels that the partners decided to put up a take-out counter in Pilar Village, Las Pinas. The business venture was a bit hit that they decided to further grow the business into a restaurant. Baked Tahong or Baked Mussels is a well-loved appetizer seafood dish. These Cheesy Baked Mussels are half-shell mussels topped with Edward Gutierrez's own recipe. It is a sweet blend with mayo and cheese. You can indulge in these Cheesy Baked Mussels with a minimum order of 20 pcs (P 140). 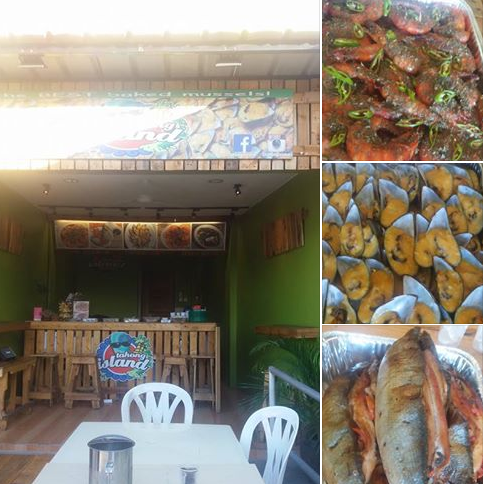 They also have a Party pack of 110 pcs (P 700) and you get an extra mussel for P 7 each. I love the Shrimpy Shrimpy recipe. The Prawns are mixed with herbs, making it more flavorful. 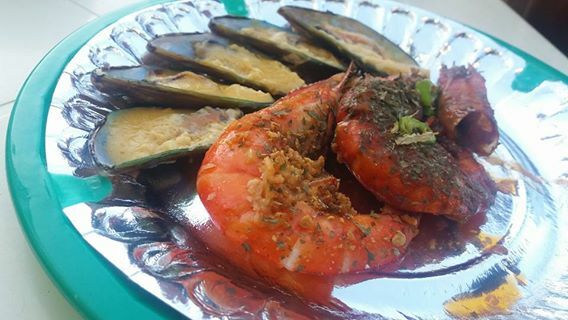 Today, Tahong Island caters to dine-in customers at BF Homes Paranaque and delivers around Las Pinas, Paranaque and Muntinlupa areas. 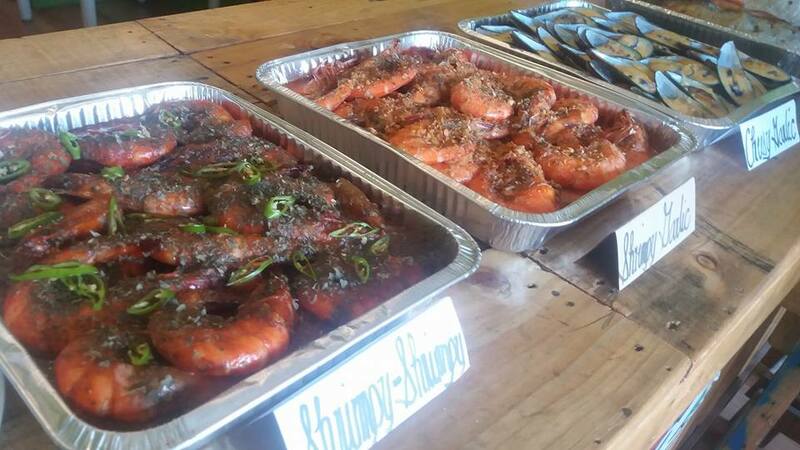 Aside from freshly baked mussels, they now offer Boneless Stuffed Bangus (P 230) , Shrimpy Garlic and Shrimpy Shrimpy prawns (half kilo at P 500) which are Edward's original recipes. Delivery charge is P 50.